What is S355JR? 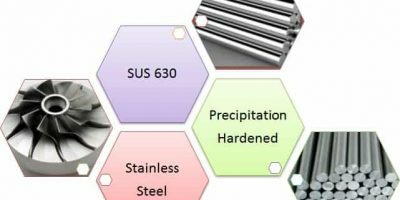 S355 grade is a non-alloy structural steel defined in EN 10025 standard. As the name implies it is extensively utilized in the structural engineering. It is an important material supply for construction industries. S355 grade gives robust yield and tensile strength and is offered with numerous treatments and test alternative to ascertain that it is an extremely applied steel in different projects. “S” in the letters of S355JR material grade represents the steel as structural steel, letters in numerals i.e. “355” represents yield strength i.e. 355 N/mm² minimally, the “JR” addition ensures that the steel has been subjected to testing at 27 Joules with longitudinal Chary V-Notch impact testing at standard room temperature. Different designations of Charpy tests include J2, J0, and K2. What is EN 10025? EN 10025 is the European standard for Hot rolled products of structural steels. Moreover it also specified technical delivery conditions for non-alloy structural steels. S355 grade is also defined in this standard. Why S355JR called 1.0045 Stainless Steel? S355JR is the EN mechanical and chemical designation stated in the standard whereas 1.0045 is the numeric designation of the same grade. 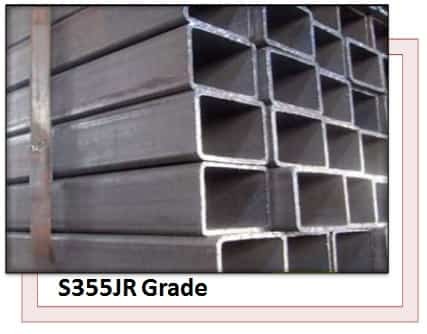 Dimensional Characteristics of S355JR Steels: The stated thickness for this S355JR material as retrieved by online statistics in the market starts from 3.0 mm to 400.0 mm. However the coil mill edge width of this material varies from 1250 mm to 1500 mm. Sheets can be cut into different length. As it is provided in various other forms as well, dimensions should be verified from suppliers before purchase. Maximum percentage of Carbon (C) is 0.27 percent. Maximum percentage of Manganese (Mn) is 1.7percent. Maximum percentage of Sulphur (S) is 0.045 percent. Maximum percentage of Silicon (Si) is 0.60 percent. Maximum percentage of Copper (Cu) is 0.06 percent. The tensile strength of the S355JR non-alloy steel is expressed in Newton per millimeters and it must be at-least 450 N/mm2 (MPa). The elongation property of S355JR steel varies with the heat treatment process and thickness but it is indicated typically 17% – 20%. Read article on steel structures on construction buildings. In JIS designation, the corresponding material is referred as SM490A. In AFNOR French standard, the corresponding material is referred as E36-2 type steel. In Swedish SS standard, the corresponding material is referred as 2132-01 type steel. Heavy lifting and excavation machinery cranes, dump trucks, excavators, trailers and bull dozers etc. Read about construction industry trends changing in the US.